Sometimes, the shot you want to take isn't quite as accessible as you had hoped it might be. Here's a shot taken from the MacArthur Causeway. I had to walk halfway across this busy bridge and set up my gear literally 4 feet from cars racing behind me. 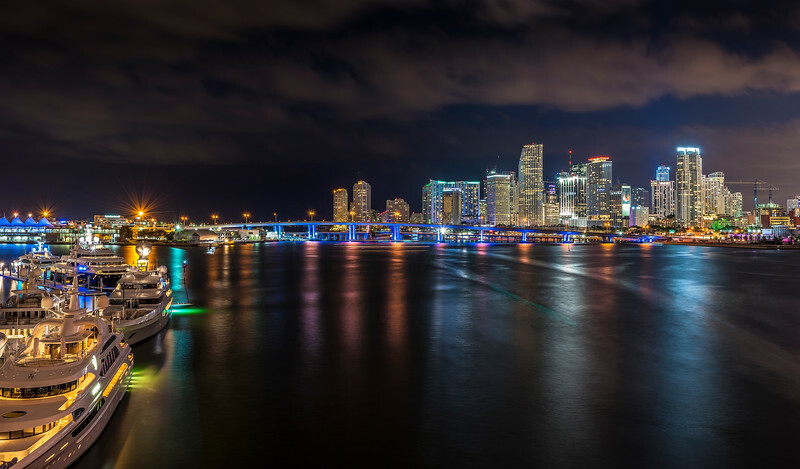 It was quite an adventure, but well worth the effort as the Miami skyline truly lights up at night.